I’ve been waiting for this day for a whole week now! Why’s that? Well, I live in a university/college city, which means half their present population are made up of students. Most of them from out-of-town. 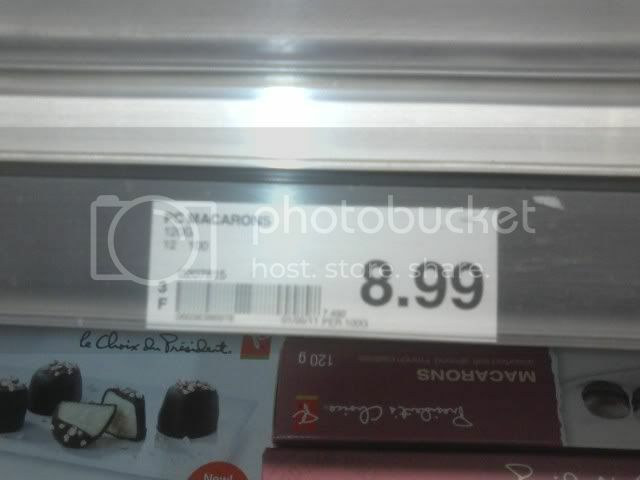 Since last fall, our PC grocery stores have finally decided to give us students a discount! So now on every Tuesday, we get 10% off our groceries when we show our student card. It’s a wonderful thing. What ISN’T wonderful is that Aunt Flow decided to come a day early. I get such bad cramps. Had to skip class (only one today, woohoo!) and take ibuprofen to get over the pain. OH the PAIN. I took a pretty good sick day. Daytime television is kind of crappy, so after sleeping in till 1pm and popping some pills, I made myself some chamomile tea (great for cramps) warmed up the banana bread I made last night, and cuddled up with my Quatchi plushie and a FICTION book I borrowed from the city’s public library. I’m glad I was actually prepared for this day. As in, I had banana bread, and I had a fiction book! So after nursing myself better, I knew I still had to get to the grocery store. Good thing it’s only about a 3 minute drive from my place. I always make grocery lists so I know exactly what to get. I basically just list stuff I need in my notebook as time goes by, instead of making it the day I buy the stuff. I forget less stuff that way. On this trip, I’m happy to say that I only deviated two times from the list! I try very hard not to do that. But unexpected deals pop up…..or I’m reminded of something else I ALSO need but forgot to write down. Yes….I tell myself that. So instead of telling you exactly what I got, I’ll just say that I spent about $37. Most of it was household stuff. We were running out of paper towels and tissue boxes and stuff. I was also craving kalamata olives (ok, I always am), so I got me a box of that. Well, imagine my surprise when I saw THIS in the dessert aisle! It’s about the same size as the ones I get from L’Opera on Yonge. It only comes in 4 flavours: chocolate, vanilla, coffee and raspberry. $9 for 12! It tastes pretty good! Nice and sweet. The shells are soft and chewy, and the filling is smooth. L’Opera sells 6 for $8 with them all being different flavours. I’m so happy PC now sells them. It means I don’t need to wait for Toronto to have some and it’s a lot more affordable too! I would definitely recommend them! At first, I took those pictures to blog about, but I figured I should try them so I can tell you guys how they taste! Hm…..maybe this should be a segment….Blogging about PC brand foods, because I really DO like this brand and its affordability. On a related note, I’ve started watching Biggest Loser! I’ve only seen a bit of this show in previous years, but never really watched it. It’s really helping to motivate me! Makes me want to get off the couch and exercise! Maybe even get to the gym! Yes….eventually…..I’ve decided I want to go to the gym on Sundays because parking is free. Why am I driving instead of just busing and walking? All my stuff I need to carry……Ok, I’ll stop with my excuses. I don’t like my cramps. 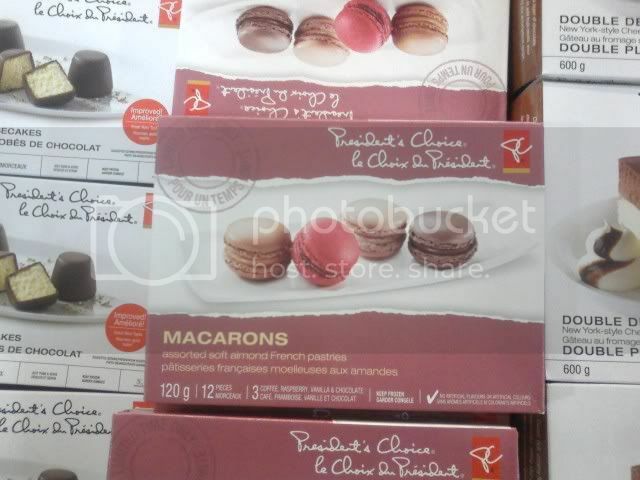 So, give those PC macarons a try! This entry was posted in Big Spender, Everyday ramblings, Nom Nom. Bookmark the permalink. 2 Responses to It’s grocery day! Too bad the closest one is QUITE a walk away =___= It’s like past union.